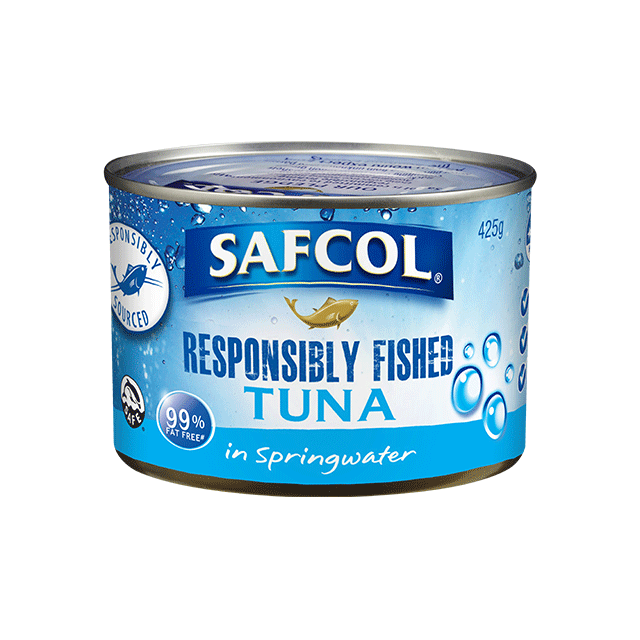 Safcol Responsibly Fished Tuna in Springwater. 99% fat-free. Good source of Omega 3. High in Protein. Ingredients FAD Free Tuna (Katsuwonus pelamis) (64%), Springwater (36%).